Three exceptional companies combined for one goal – to offer our customers a true Turn Key solution, not just the sale but also the after service. We are the only true Turn Key Solution Group in Ireland, from initial design through AutoCAD / Revit / BIM to our expert Sales team to our directly employed Installation, Project Management and Health & Safety Teams – there is no end to our contract as now we take it through to After Sales, Service and Commissioning – all of which directly employed with-in the group. Health and Safety concerns are at the foremost of all prudent businesses today. Accidents in the workplace accounted for 56 deaths in 2014, up 10 from the previous year and a worrying trend that is increasing year on year. Over the past number of years workplace accidents have been on the rise, not surprising you might say with the increased workforce now employed in the Irish market but what is important is that through proper implementation of risk management and systems of work this figure can be reduced. An area of concern that I see overlooked in many business is that of their storage facilities and most importantly of their pallet racking and industrial shelving. Daily I witness damage to structures such as the uprights which were caused by fork trucks or other machinery weakening the components of warehouse structures. This in many cases can have a detrimental effect on employee and customer safety on site, any damage to a frame or bracing has an impact on the integrity of a structure and if this collapses it could possibly result in injury, unforeseen cost and possibly mortality on site. There is a duty of care responsibility on all employers to ensure a safe practice of work set out in the Health Safety and Welfare act 2005. Annual Inspections carried out by qualified professional representatives to ensure that companies are storing goods correctly and to identify potential risks to organisations. Ensure you are compliant with weight loads and not over loading beams. All storage facilities should have specifications clearly stated on each row and adhered to by warehouse personnel. Introduce a reporting system so employees do not fear reporting damage to Managers. Establish a relationship with your racking supplier or specialist, ensure they are at a minimum SEMA accredited as they are equipped to advise on any concern a warehouse manager may have. I have recently undergone extensive training and I am now certified by SEMA to conduct site audits and make recommendations to organisations to improve safety and awareness around warehouse maintenance. Annual site audits and more if required ensure a safe system of work and is a sure way of reducing risk with business. The cost associated with replacing a frame, upright or beam is a lot less than that of the loss of the complete contents of a warehouse, personal injury or more. 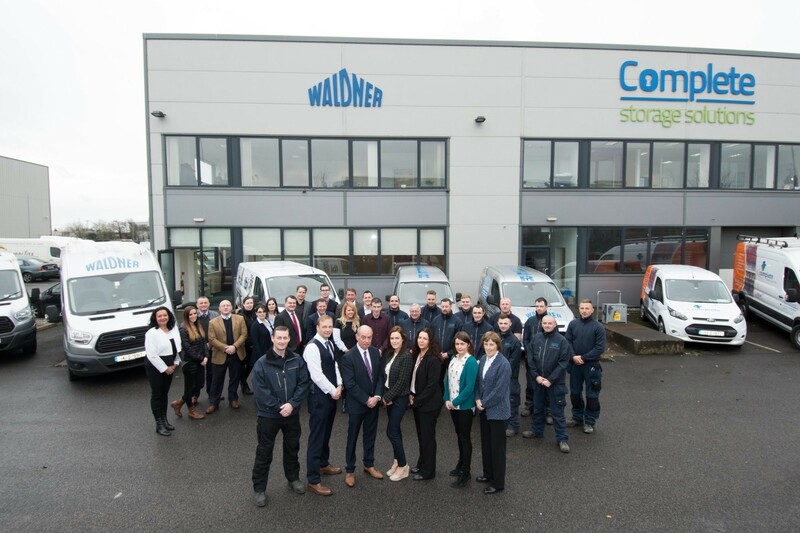 Complete Storage Solutions Ltd is one of Ireland’s leading and longest established supplier of storage solutions. We have over 100 years’ combined experience in delivering bespoke, integrated solutions for warehousing, archive and office spaces throughout Ireland. We are the sole distributor for STOW Storage Solutions in Ireland, who’s core products are Conventional Pallet Racking, Drive-In Pallet Racking, Open Face Racking, Mobile Pallet Racking, Pallet Live Storage, High Bay Racking, Stow Atlas Pallet Shuttle, Long Span Racking, Stow Shelf, Stow Archive, Multi-Tier racking, High rise Shelving, Carton Live Storage & Industrial Mezzanine Floors. Our core aim is to assist our customers in achieving maximum efficiency at the best possible cost, while maintaining the highest industry standard’s of the FEM (Fédération Européenne de la Manutention). 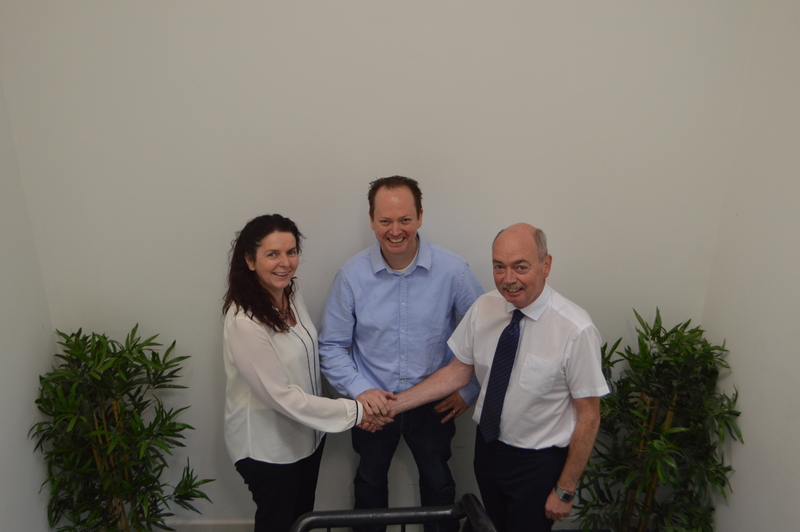 It is our pleasure to announce that Anita McCabe has joined our Company as Operations Director. Anita comes with 24 years’ experience in the Industry and will be a great asset to the Company going forward. We are the Sole distributor in Ireland for Stow and our Product range includes Pallet Racking, Cantilever Racking, Mezzanine Floors, Partitioning, shelving, lockers, Fabrication etc. Our current client base consists of Customers including Vistakon, Barclay Chemicals, Primeline Logistics, HSE, OPW, VWR, Tesco, Musgraves and many more. Complete Storage Solutions Ltd have completed a large installation of Stow Adjustable Shelving system for the HSE in Portrane, Dublin. 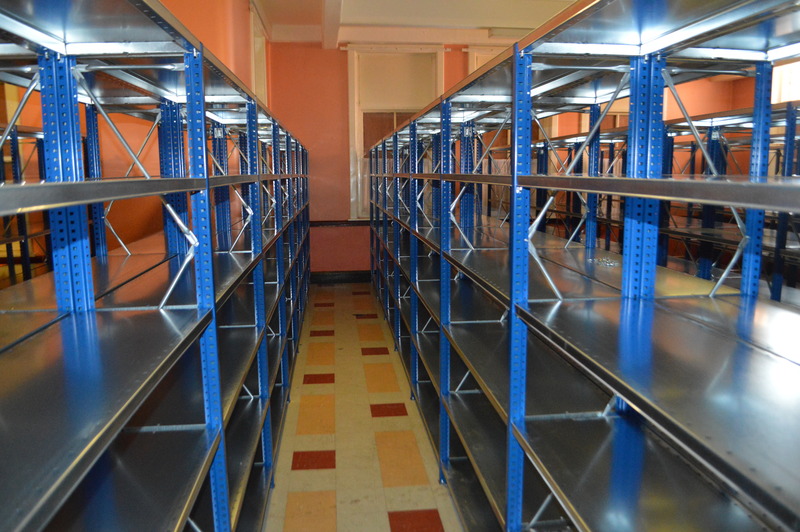 This installation consisted of 236 bays of Stow Adjustable shelving each bay is 2000mm high x 1265mm long x 400mm deep and fitted with 6 shelves. Complete Storage Solutions Installed Mezzanine Floor For Business Print! We are known for supplying and installing mezzanine floors in our industry, so it was an easy choice for Business Print Ltd to choose Complete Storage Solutions to supply and install their mezzanine floor. The single tier mezzanine floor measuring 13.1200 x 23.634m was fitted over a 4 day period with minimal interruption to the staff at Business Print Ltd.
Keelings, number 1 supplier of fresh quality fruits chooses Complete Storage Solutions! We are fitting two lanes of floor mounted gravity conveyors for Keeling’s, this will take pride of place in their new state of the art Strawberry High humidity chill room. © 2017 Complete Storage Solutions Limited. All Rights Reserved. Complete Storage Solutions Ltd is Registered with the CRO as Company 517784.